I am so excited I finally got my hands on a box of Crayola Color 'n Smell crayons. 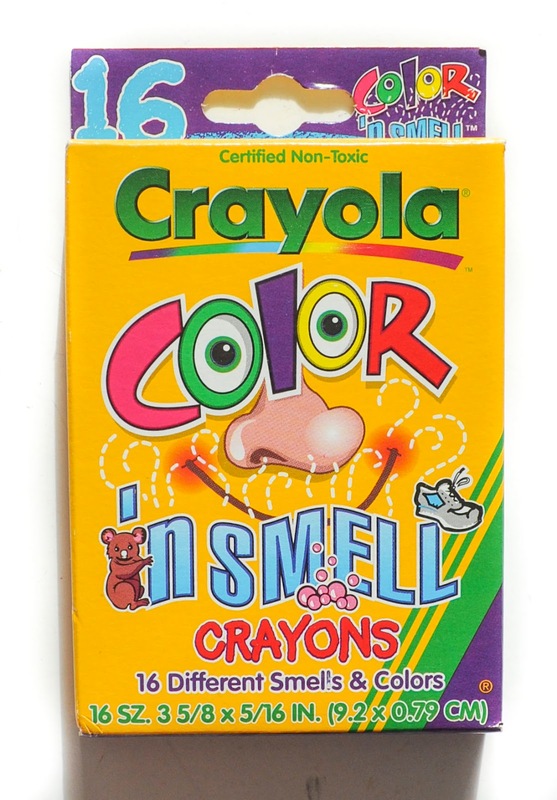 Color 'n Smell crayons were a continuation of Crayola's Magic Scent line. 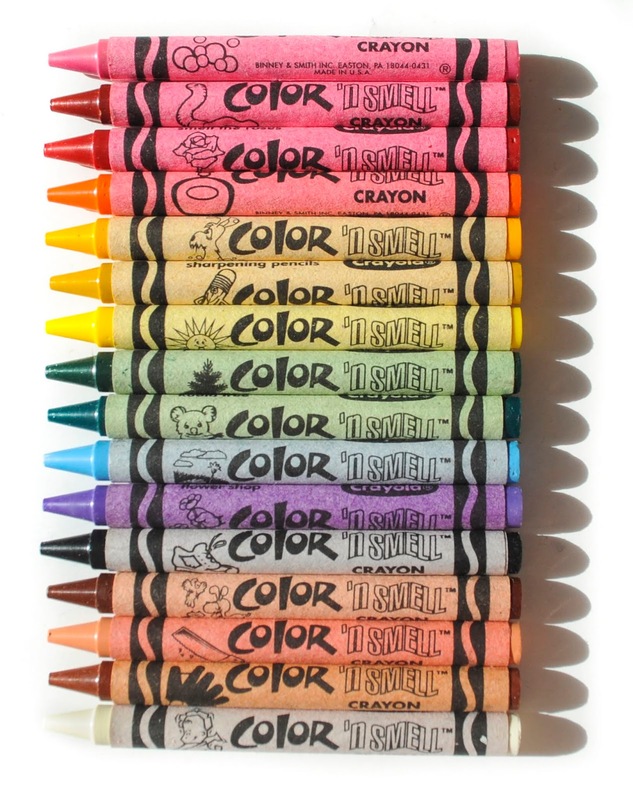 The Magic Scent line started out with edible crayon scents, but apparently Crayola received complaints of children eating crayons and changed them to non edible scented crayons. 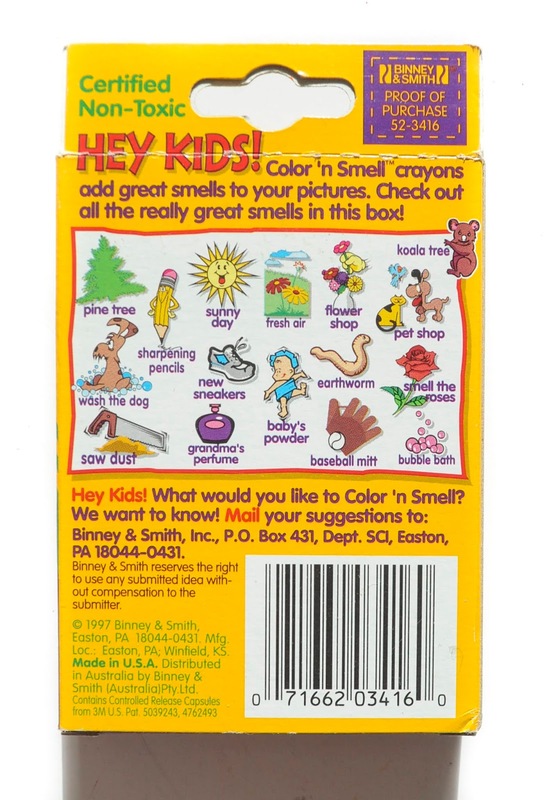 Crayola even asked on this box of Color 'n Smell crayons what other scents people would want. 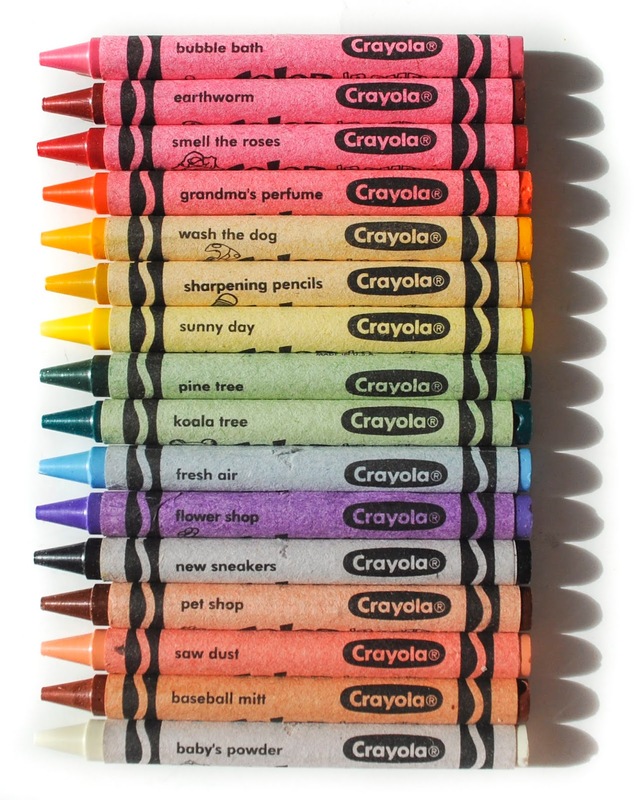 Sadly this was the last scented box of actual crayons Crayola would put out. They have since come out with a Silly Scents line, but there are no scented crayons. Here are the wrappers for the crayons. The have the color name and a picture of the smell on the wrapper.